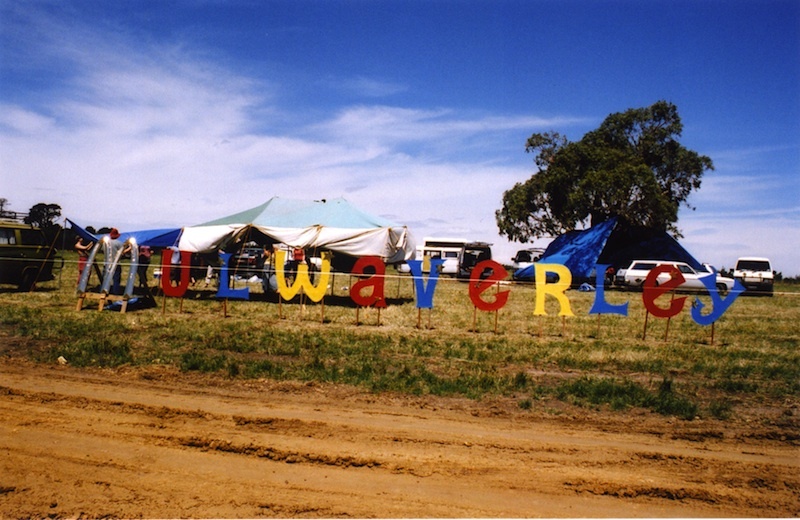 A tradition that sprung up around about 1996 was a group of campers who got the same spot each year and called themselves Mulwaverley. 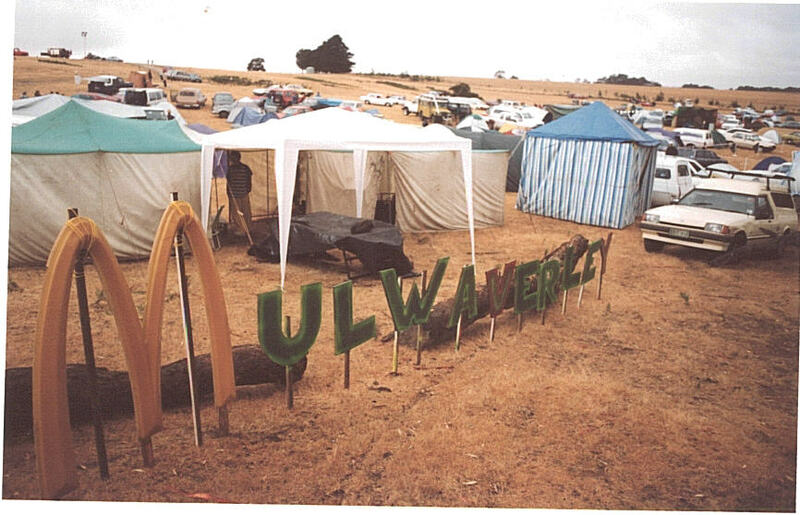 Each year they brought more elaborate campsite setups, sometimes a pool table, other years a picket fence and carpets. Eventually they had a part of the campground named after them. Mulwaverley is located along The Golden Mile of Top Camp – with absolute Amphi-front and pastoral views. Photos are from the 90s/early 00s.